Looking for a place for a retreat? Sometimes, after a long work week or when the daily stresses of life get the best of us, we must escape to a serene place to wash away the worries. No place better accomplishes that than a spa. These 10 day spas in Oklahoma will soothe your senses and renew your mind. You don’t have to stay overnight at the hotel to enjoy the day spa, but you should consider it. At Sole’renity, they offer “an array of therapeutic and wellness treatments” to “renew, replenish, and revitalize mind, body, and soul,” according to their site. Sounds perfect to us. 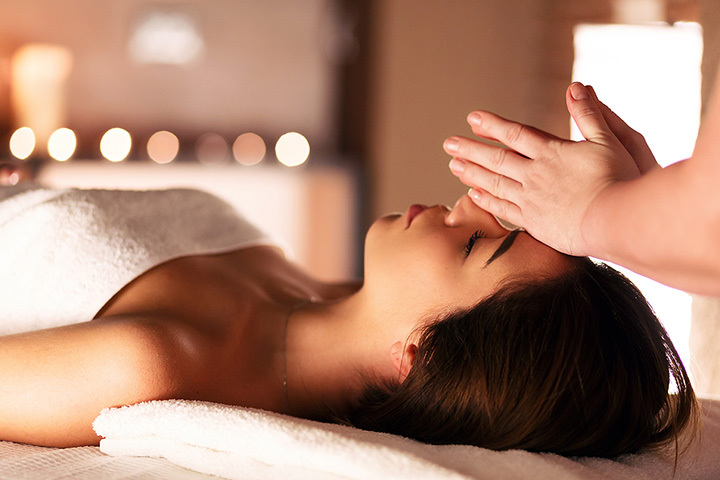 Indulge in a day of beauty and relaxation at the Spa at the WinStar, which uses all organic products. Treatments range from deluxe and stone massages, to microdermabrasion facials and soothing foot soaks. Get more than just a massage at this day spa in Southeast Oklahoma. You’ll get wrapped in hot and steamy towels, exfoliated by Dead Sea salt and a five-star massage. From head to toe, this salon takes care of you. Get a massage, a pedicure, facial, hair-cut and a makeup lesson when you make your appointment at Cottonwood. This spa also has a philosophy that they live by: A person can positively influence the world around them by the simply act of making someone else’s day. Ever wanted to wrap yourself in chocolate and coffee? You can do it here when you ask for the Mocha Truffle Body Wrap. Get facials, massages, body treatments, waxing, spray tanning, and even your makeup done at Le Visage. Aloha Spa offers a full selection of rejuvenating treatments in a tranquil setting near Turner Falls. Take time to stroll through the orchards or relax on the veranda before you leave. A European style spa in North Oklahoma City, with a full range of services to refresh your mind and body. Purchase one of their luxurious spa packages such as the Three Graces Excursion, which includes a salt glow, mud wrap, Vichy shower, full massage, facial, manicure, pedicure and lunch. Voted “Best Day Spa” by Tulsa’s Best Businesses last year, you’ll find an assortment of specialty treatments to help you feel better and look great. Specialties include body wraps, couples massages, deep tissue massages, eyelash enhancements, and more. Float therapy is a new form of stress relief. You float in salt water to enjoy freedom from gravity, light and sound. You can fully relax your body and mind.